Meet Miss Kiki, soft to the touch, and look at that sweet little coy face!!! What a gentle, tender soul! Miss Kiki is a smart, gentle, cuddle bug. She enjoys other kitty company. Her brother is Shadow, who is the rough and tumble boy. Kiki loves cuddles more than play time. She is so irresistibly cute. How can you pass this little angel? Miss Kiki is spayed, fully vaccinated and tested for FIV and FeLV, negative of course, and microchipped. She is comfortable around dogs and other kitties. This little cutie will be adopted with a two week trial adoption. That means we will let you return her if you do not form a bond with her. Miss Kiki deserves a family that loves and adores her. She is a low maintenance gal. She likes hanging our with her human caretakers. Miss Kiki adores being talked to, She will bat her eyes because she totally understand every word. She's a little gal, likes to sit on your shoulder, chest or lap, you will barely know she's there. She's not fussy. 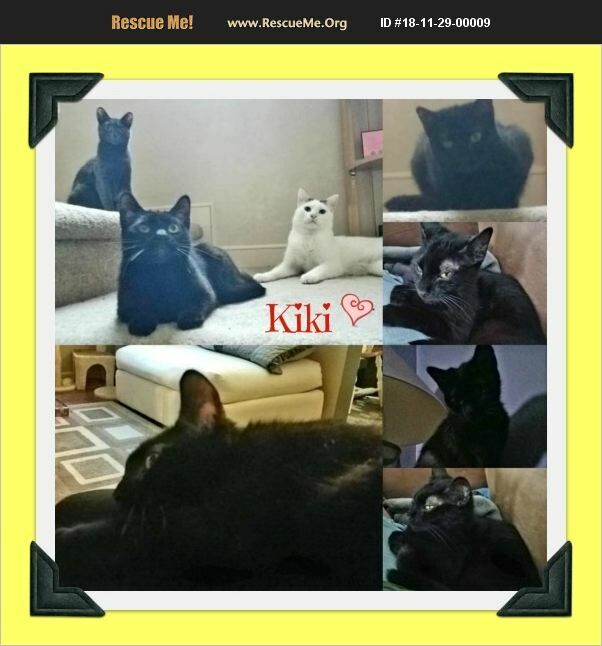 Contact us to fill out an application and meet Kiki, her brother Shadow and their Mom, Sable. Miss Kiki would be happy to see you and snuggle on your lap, shoulder, or in a sling pouch in front of you. She is laid back, and will be a tiny gal, a mini me kitty. Kiki will fill your home with many smiles and purrs. Just call, text, or email for an application. Thank you for viewing our Snow Camp rescue kitties!